While hating Kessel is probably fun, Bruins fans should realize that he isn’t the real person they should direct their anger towards; he’s just convenient. The person who Bruins fans should actually hate, besides Jeremy “I’m not tipping that waiter” Jacobs, is GM Peter Chiarelli. He decided Kessel was expendable. If he really wanted to keep Kessel then he wouldn’t have foolishly signed Michael Ryder for $4 million dollars the year previous and he certainly shouldn’t have signed Derek Morris this summer for $3.3 million. These moves made it clear the Bruins didn’t want Kessel. Re-signing Lucic, Wheeler, and Krejci ahead of Kessel were all justifiable moves. These are three young, talented players who will form a solid foundation for the Bruins. Unfortunately, the Derek Morris signing is incomprehensible. Morris has not been a very good defenceman since his brief stint in Colorado where he benefited from being insulated by many excellent players. Even if Derek Morris was a defenceman worthy of $3.3 million, in what reality is signing a 30-year-old with declining skills acceptable when it means you can’t re-sign a 21-year-old who just scored 36 goals? Before the season Boston needed defence, and judging by this season they still do, but Derek Morris certainly couldn’t be considered the answer to all the Bruins problems. Even if the Bruins felt they truly needed Derek Morris then why wouldn’t they try and rid themselves of other burdensome salary, namely Marco Sturm and Mark Recchi. Dumping Sturm and a second-round pick to a team for some salary relief wasn’t worth keeping Kessel? The Bruins couldn’t possibly believe Phil Kessel would gladly accept a salary well below his market value. If the Bruins offered him something close to his value and he chose to use their cap situation as leverage, then he is deserving of the scorn he receives. But they clearly wanted him to accept a deep discount or else they would have signed him earlier. When a team chooses to re-sign three other young forwards before you and then an aging defenceman, you know how they feel about you. 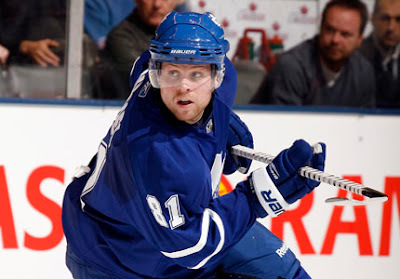 Phil Kessel left the Bruins because they didn’t want him. It isn’t like he left as a UFA. He didn’t leave because he was greedy. He left because he wanted fair market value, which every player does, and the Bruins decided they rather not pay him fairly. They even received a handsome return for the talented forward, which could potentially be better long term. But I get it. I like hate, too. I just can’t wait until Kessel develops into a terrifying player capable of using the Boston boos as fuel for his dynamic game. There are sometimes when no matter how badly you boo a player, they seem to burn you with shocking regularity.